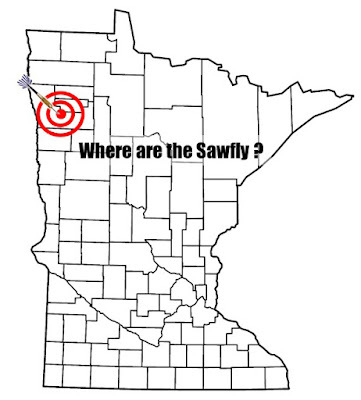 Wheat Stem Sawfly is still infesting wheat in northwest Minnesota. Areas affected last year are now showing symptoms of this year's infestations. Wheat stems are lodging as the sawfly larvae cut the base of the stem. 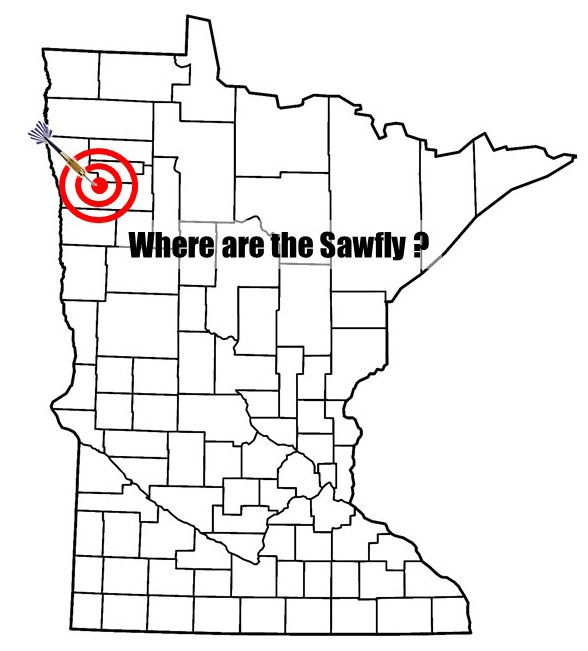 Polk County is the area of greatest concentration, but reports beyond the Crookston area are also coming in. 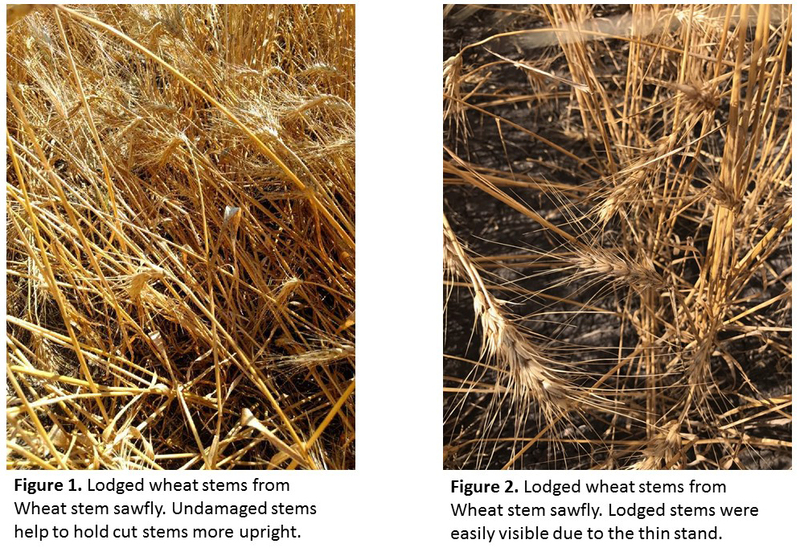 We are asking ALL wheat growers in the northwest region to report on if they find lodged stems, their location (Latitude-Longitude or Legal description), and some estimate of cut stems per row foot. Also, indicate where in the field (usually the edge, but how far in is useful knowledge). We are trying to determine how big an area is impacted by this insect. Figures 1 and 2 were from the 2017 infestations. Look for these lodged stems as you begin combining fields. Make quick estimates of lodging as the number lodged per row foot prior to combining. You will easily see this lodging from the cab of the combine, but please take a few moments during a "coffee break" to make estimates of damage. These locations need to be noted so we can begin to develop a better management strategy to address this problem. Rotation and varietal selection can be performed to try and break the infestation cycle. Tillage did not appear to impact populations significantly in the worst sites from 2017. Figure 3. Wheat stem sawfly cut stems were so extensive in isolated fields in 2017, the cut stems could be picked up as a bundle on the edge of this wheat field. Infested stems are plugged on the end by the larva for protection from the environment while overwintering (Figure 5). Cut stems, if sliced open, reveal the feeding damage and frass left behind by the sawfly larva (Figure 6). An excellent review of Wheat Stem Sawfly biology and management can be found in the recently updated circular prepared by NDSU entomologists.